Some parents want only the basics and there is something beautiful about simple functionality. Couple that with the fact that there is no sacrifice in quality or comfort when it comes to your Maclaren Volo umbrella stroller. The Volo is one of the lightest umbrella strollers on the market today. Weighing only 8.6 pounds, it is sturdy enough to carry a child up to 55 pounds! Moms also praise the benefits the Volo provides both parent and child such as the maneuverability and smooth ride. Basic weight of 10.6lb; Ideal for children 6 months and up to 55lb. 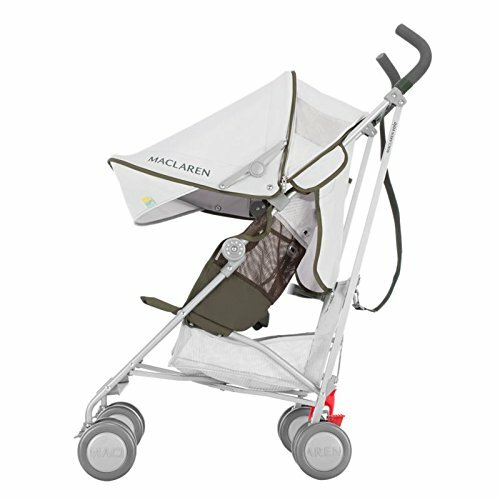 Owners love their Maclaren Volo and across different web retailers, reviews have shown consistent 4 and 5-star ratings. By the time you finish reading this review, you will know how such a simple umbrella stroller got to be so popular. Let’s start with all the quality features. 3 What is the seat like? 6.1 How much should I pay for the Volo? 9 Where can I buy the Maclaren Volo? The Maclaren Volo has a lightweight high performance aluminum frame and that means your child can ride up to 55 pounds! For such a light weight stroller, holding that much is remarkable. The lockable front swivel wheels and double wheel design make this stroller easy to steer, though keeping it on even surfaces will ensure the best handling. The Maclaren Volo is for children six months and older because there is only one upright seating position. The adjustable five-point safety harness keeps children safe and grows with your child. Many customers compare the Volo with the UPPAbaby G-Lite for similar features, weight and slightly lower price. Folded: 33½”H x 11.8″W x 30.11″DWidth: 19″Open Length: 39½”Handle Height: 41″Seatback: 18½”Seatback to Canopy: 27″Seat Width: 13″Seat Depth: 9″Wheel size: 4½”Stroller weight: 8.8 lbs. One of the features I love about the Maclaren Volo is the breathable mesh seat. Nothing beats this material for keeping kids cool during summer outings: think summer trips to Disneyland! With the inevitable spills and messes, the seat comes right off and is machine washable – that’s on every mom’s wish list! This is a sling-style seat, meaning there is no support or seat structure. But it does envelop your child’s body. While there is no recline feature with this stroller the seat sits at approximately a 45° angle so if your child needs a nap, they’ll still be comfy enough. Kids on the tall side or who are older may not be able to rest their head though with a seatback measuring 18½”. (see Dimensions table for full details) If you feel you need some more padding, however, choose from dozens of different Maclaren seat liners to change and customize your Volo’s look. They’re a lot of fun! The five point safety harness looks attractive with the woven two-color contrast in recent models. It is height adjustable for your growing child and you have to use two fingers and press the back and the front to release the buckle, which is good for little kids who are talented escape artists! A sturdy, flexible rubber footrest stretches across the bottom and one mommy blogger recently said in her review that her 37″-tall 3½-year old’s feet rest perfectly on it. Finally, Maclaren has upgraded the sun canopy to be full coverage. Most good quality strollers in this price range have full-coverage canopies and it’s a deal breaker now. The basic canopy is longer, and now there’s a flip-out sun visor and it is UVF 50 for extra protection against the sun’s harmful rays. A zip-out panel extends the canopy down to cover the upper half of your child in low angle sun or wind and has air ventilation windows on either side. It is a clear winner! 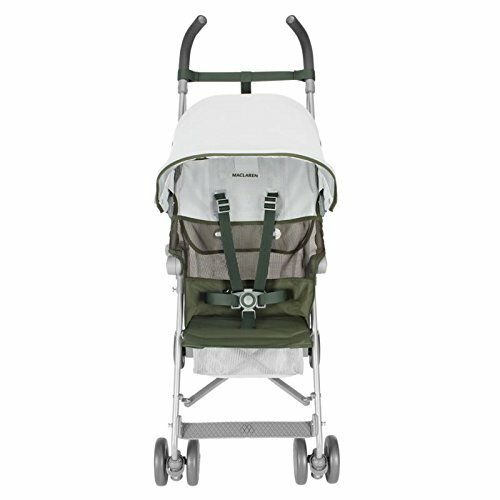 The Maclaren Volo receives the most positive feedback for its light weight and compact size once folded. It is a popular choice for traveling families going to theme parks where they have to get in and out of shuttles often, and also for families taking an airplane and don’t want to gate-check their stroller. Urban-dwelling parents taking public transportation will also find the Volo a clear choice. I love the carrying strap – just fold it, pick it up and sling it over your shoulder. It can’t get much easier. Tall parents love the ergonomic foam handles on the Maclaren Volo because they don’t have to stoop down, as they do with other strollers the same size. While the handles are not height adjustable, it is tall enough to accommodate most adults comfortably. The storage basket underneath is large enough to carry the extras you need to take with you on your outing. While it won’t take a large diaper bag, it can hold a medium bag or purse. A rain cover is included in case that outing has a few weather-related surprises! I really like is the linked parking brakes. I like just having to step down one time to engage the brakes and have my stroller come to a complete stop. How much should I pay for the Volo? The suggested retail price for this product is around $150 and it depends on the year. Consistently Amazon has the best price for this stroller. If your order is processed by Amazon, you’ll also get free shipping. If you don’t mind a prior year without the improved canopy, you can expect to pay about $140 if you can find one. The Maclaren Volo stroller reviews are quite positive with most owners at various online merchants giving it 4 and 5-star ratings. Mothers rave about the light weight and the fact that this stroller can carry their little one up to 55 pounds. Traveling parents, whether on vacation or around the town, love the convenience of the carry strap. While some parents remarked that the seat padding was too thin and they missed having a cup holder, the no-frills design of the Volo holds up fine to most scrutiny. The maneuverability and ergonomic handles were other huge positives mentioned in many reviews. Consumer Reports rated the Volo at 47%, compared to the highest umbrella rating at 83%, which was the UPPAbaby G-Lite. Volo received an Excellent mark for maneuverability and Good for safety. It rated Very Good for ease of use. 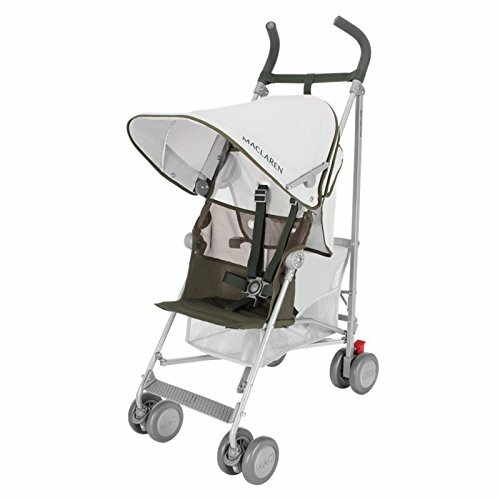 The MaclarenTechno XT is the highest rated Maclaren in the umbrella stroller category at 74% if you want to compare. Some reviewers have said that the Maclaren Volo stroller has a difficult harness and is difficult to buckle the child in. The fact that there is no recline feature stops many parents from choosing this stroller because babies younger than six months cannot sit up and older babies and children may not be as comfortable while napping. The weight capacity of the storage basket under the seat can only handle 4 ½ pounds, which is not surprising considering the compact size of the Volo. 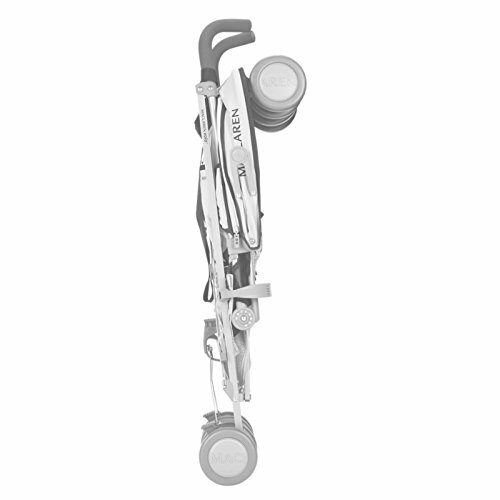 There have been some reports of the shoulder strap for carrying the stroller being too long, making it difficult for some to carry. The last issue some moms have mentioned is that the mesh-style fabric for the seat was a little slippery, causing the child to gradually slide down until they were uncomfortable. Where can I buy the Maclaren Volo? My favorite place to purchase strollers is on Amazon as they have the best prices most of the time. You’ll find that certain color schemes are sold by third-party sites and they offer different prices as well, and because of this competition, you’ll have easy comparison shopping. 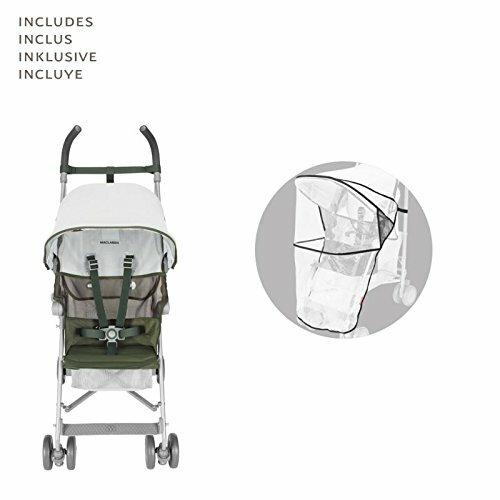 Buy your Maclaren Volo today and imagine the easy, breezy convenience this classic umbrella stroller will bring to your life. I’m a work-at-home mom and I help support my son and husband with income I earn with this site. If you’ve found all the time and effort I’ve spent researching and sharing this information and experience, my biggest source of support is when you use this link directly at Amazon when you get anything,from other baby items to books and household goods. Any of the links in this article greatly help. It costs you nothing, and is this site’s, and thus my family’s, biggest source of support. Your support means that I am able to buy more strollers to personally review and help more moms out, just like you. I want to help a new mother get the very best for her family.